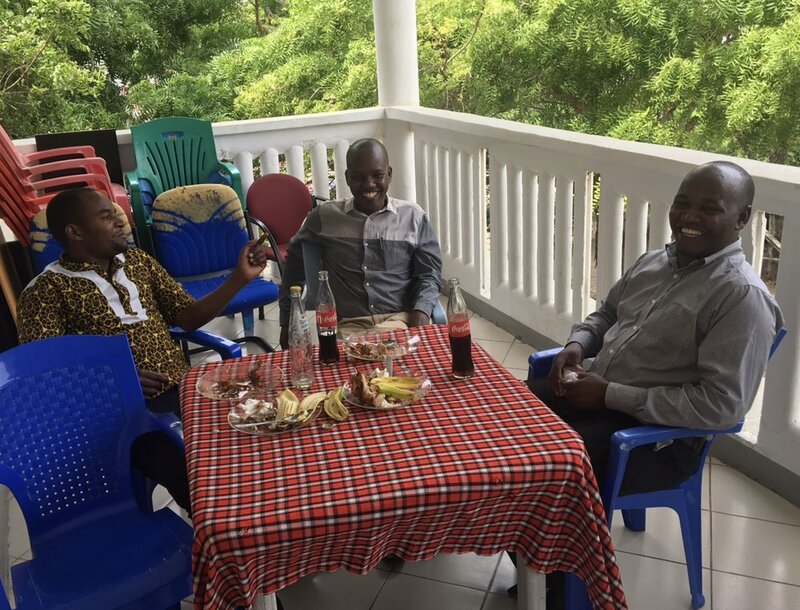 The HALI team is all together (at least most of us) this week in Bagamoyo for a series of data review meetings and workshops for the Viral Sharing and Rift and Brucella Projects. 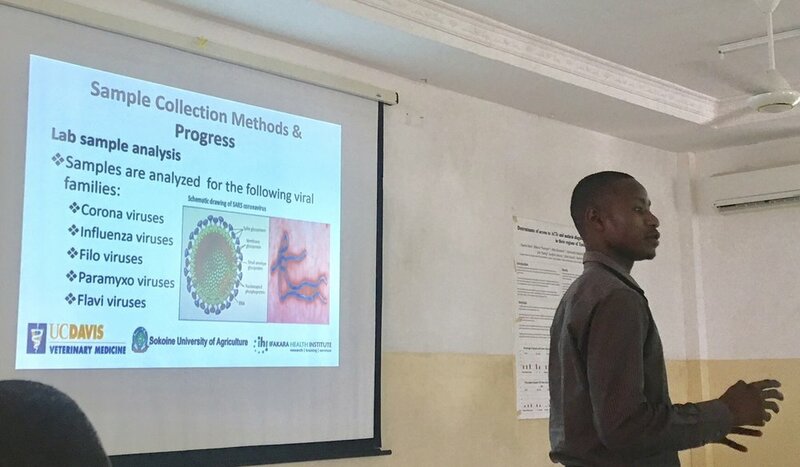 The team is reviewing data collected from these One Health infectious disease surveillance projects and working together on solutions for successful completion of the projects later this year, along with brainstorming about potential publications and new directions this research could lead. 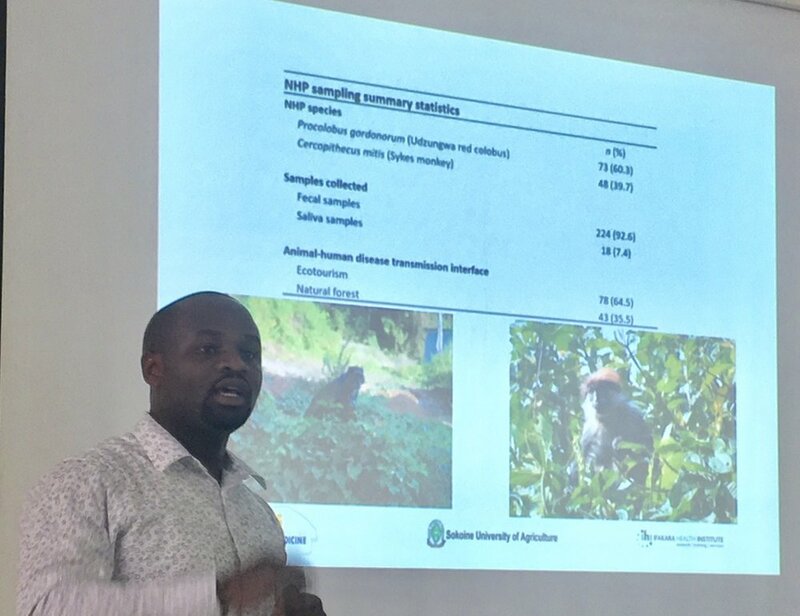 Check out a few shots from the meeting kindly provided by Brian Bird, aka Daktari Ndege highlighting some of HALI's work on bat tracking, wildlife sampling, and viral detection. Nistara, a PhD student from UC Davis presenting data from some really fascinating bat tracking studies. Our One Health Officer presenting on wildlife work. Mwokozi, Robert, and Goodluck brainstorming and sharing brilliant insights.